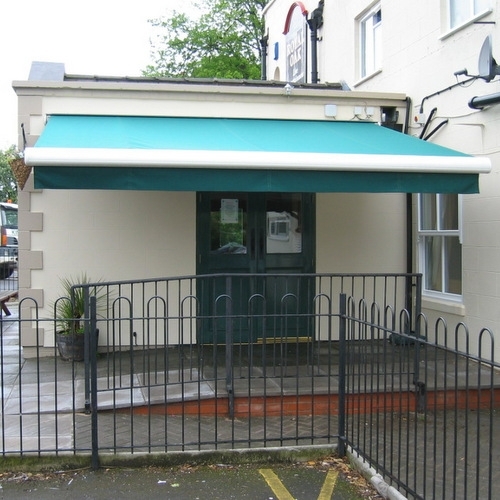 Awnings extend outside space and create a covered area to help protect from damage caused by the sun and also enhance the appearance of a building. 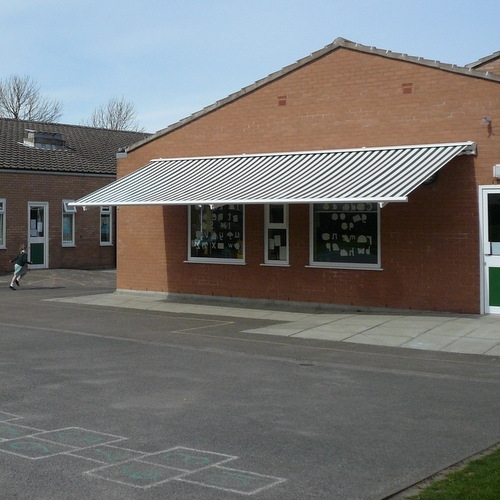 Awnings are a popular choice in schools and nurseries as they provide effective sun and rain protection for young children. As well as providing sun protection awnings give you the opportunity to promote businesses as logos and promotional wording can be placed onto the covers and valances. 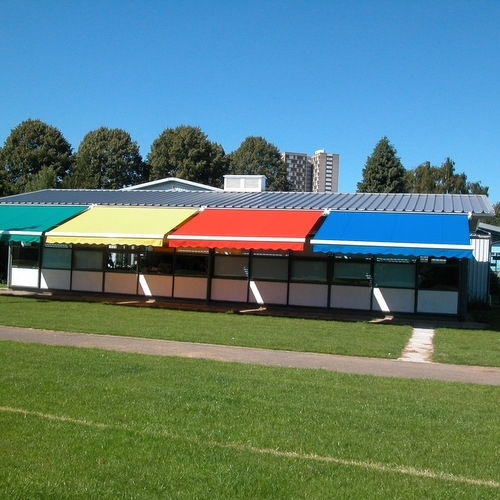 Our awnings can be manually operated or motorised and covers are available in a wide range of colours and designs. 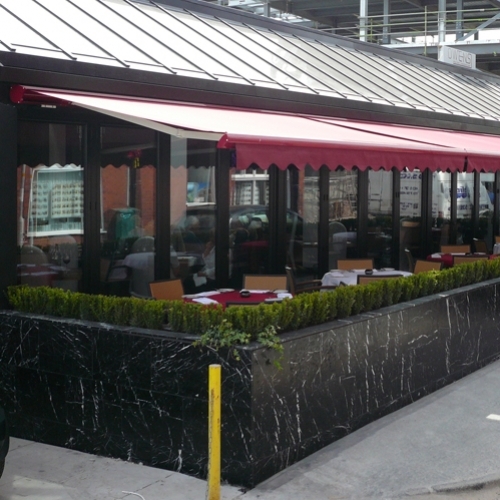 Additional features such as lights and heaters can be built into the awnings.